This is a book I wrote to accompany the Metal Culture project, The Edge Hill Archive, which looks at the history and culture of Edge Hill, Liverpool 7, and the work that Metal is doing in the area now. The project and the book’s publication was supported by the Heritage Lottery Fund. The design is by Ultimate Holding Company. 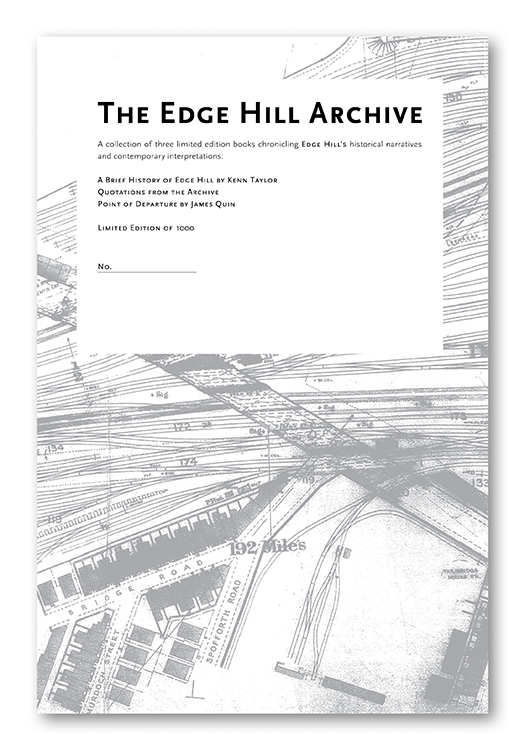 You can read A Brief History of Edge Hill at the Issuu link below or download the PDF. For further information on the wider Edge Hill Archive see also the link below. Edge Hill: the place where an industry began that changed the world.